Derrick Kosinski & Scott Yager are joined by Ashley Mitchell. Since the last time she was on Challenge Mania, Ashley Mitchell (@MTVASHLEYBROOKE) blew the roof off of Champs Vs Stars on her way out and entered The Final Reckoning on a slight delay after she and Hunter blasted their way into the game as mercenaries. Makes you realize this is how the mercenary concept should have been done the whole time. Sorry, Derrick (@DerrickMTV). Ashley joins Derrick and Scott (@SHOTOFYAGER) to talk ... See More about her experience on Champs Vs Stars, the reunion, Louise Hazel and more! She discusses the drama she's been involved with since entering #TheChallenge32 house, whether she violated Girl Code, what makes the Lavender Ladies such a tight unit and why Hunter was really so upset that she decided to cozy up to Kyle. That is certainly not all! As always, she bounces all over the place and no one is safe. Ashley is ALWAYS a fun guest but she is in particularly rare form in this episode! 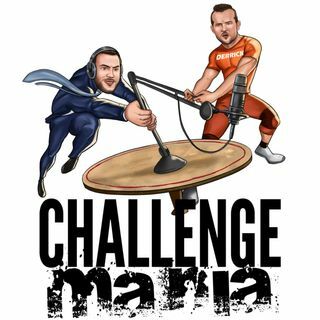 If you want even MORE Challenge Mania, you can get it by becoming a Patron at www.Patreon.com/ChallengeMania - We do several bonus episodes, made exclusive to Patrons, each month and every week we do a deep dive on that week's episode of The Challenge! Support your favorite cast members AND the podcast over at www.ChallengeMania.Shop - New Britni Nicol gear and Mark Long gear available! Pantepic is a free mobile-messenger, that facilitates communication without distraction. Pantepic removes the distractions of filters, newsfeeds, and advertisements. Android in over 100 languages. This is my testimony about the good work of a man who helped me..I base in US.My life is back!!! After 8 years of marriage, my husband left me and left me with our three kids. I felt like my life was about to end, and was falling apart. Thanks to a spell caster called Dr gbojie who i met online. On one faithful day, as I was browsing through the internet, I was searching for a good spell caster that can solve my problems. I came across series of testimonies about this particular spell caster. Some people testified that he brought their Ex lover back, some testified that he restores womb, some testified that he can cast a spell to stop divorce and so on. There was one particular testimony I saw, it was about a woman called grace,she testified about how Dr gbojie brought back her Ex lover in less than 48 hours and at the end of her testimony she drop his email. After reading all these,I decided to give Dr gbojie a try. I contacted him on gbojiespiritualtemple@gmail.com , gbojiespiritualtemple@yahoo.com or call his mobile number on +2349066410185 or contact him on his website : http://gbojiespiritualtemple.website2.me and indeed he restored my marriage and am so grateful.